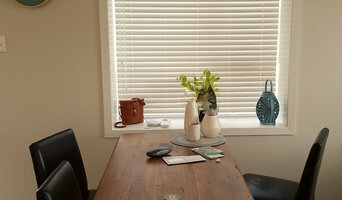 Urban Blinds is a NZ owned and operated business specialising in the design, manufacture, supply, and installation of window furnishings throughout NZ. We believe in providing an exceptional customer experience through a modern approach to furnishing your windows. For those that favor convenience and speed we offer an intuitive online ordering experience and back this up with a team of design experts that can take your call and answer any question you may have. For those that prefer the traditional approach we also offer an in-home consultation service. We provide a range of on-trend window furnishing options including roller blinds, venetian blinds, roman blinds, and curtains made from fabrics chosen from leading fabric houses that are tested and made to last in NZ conditions. We also specialise in automated and motorised solutions to put the wow factor into your home. 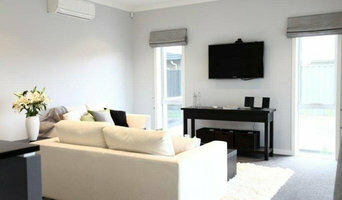 Curtain Design provides quality window treatments to Hamilton and the broader Waikato region. We can provide our clients with custom made curtains and blinds, ready made curtains, stunning shutters and outdoor awnings. With a fully mobile showroom the team at Curtain Design can service our customers requirements for quality custom made window treatments in their own home. Founded over 30 years ago, Brightshine Venetians is a full service Blind company. We manufacture new Aluminium, Poplar and Faux Wood Venetians as well as Sunfilter, Blockout and Sunscreen Roller Blinds. 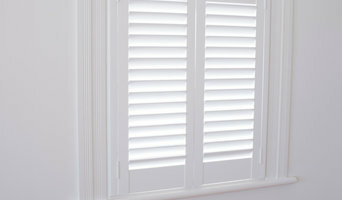 We also sell Shutters in 50mm, 64mm, 72mm and 89mm louvre widths in whatever configuration you’re looking for. We also provide a maintenance service for all Brightshine Blinds and Shutters only. Frazerhurst has been pushing the boundaries with window coverings in Northland since 1983, providing the highest quality window fashions, matched with their professional can-do customer service. The staff know their products and work with you to create the best look for your home or business - stylish window furnishings with optimum functionality installed with a minimum of fuss. Venluree has been New Zealand’s specialist manufacturer and supplier of custom made quality window furnishings for over 45 years. Our product range includes; shutters, blinds, curtains, awnings and screens. We are locally owned and operated, and pride ourselves on exceptional service and quality. Whether you're building, renovating, or just seeking cover for a couple of windows, take advantage or our free in-home consultation service, and let us put together the perfect solution for you. What ever your window we've got it covered. Russells Curtains & Blinds, specialise in curtain and blind consultation, design and installation services. Call us on 0800 808 300 for a free quote. Brightshine Blinds has been a Family owned and operated business for over 40 years. All our Roller blinds & Venetians are beautifully custom made to measure right here in our own Auckland factory. We pride ourselves in producing top quality products made to last. We offer a FREE measure & quote for all areas in Auckland, Wellington, Manawatu region and the Bay of Plenty. If you wish to place an order outside of Auckland you can email us your measurements and we will custom make the blinds for you and courier them, (installation at your own management). Brightshine manufactures new Aluminium, Timber and Faux Venetians as well as Sunfilter, Blockout and Light Filtering Roller Blinds. Roller blinds come in both regular pull or motorised options. We also import Shutters. Our Shutters are all 100% Basswood and a beautiful minimalist, profile on the stiles and louvres. We don’t use PVC or MDF believing that wood is the absolute best choice of material. It’s light, a hardwood and very stable. Working with wood means we can also maintain the Shutters here in NZ. We have all the wood working equipment we need to replace louvres (if pets chew them or a child’s football goes through them), change configurations or cut them down. We provide maintenance services for Brightshine Blinds too meaning we’re here to support the longevity of your blinds well after the 3 year warranty period. ScreenAway is a unique Retractable Blind and Fly Screen solution. It is retrofitted into all types of windows or doorways, old and new and can be easily maintained. The system provides attractive and practical use with a neat and tidy fit within the reveal of your window. The ScreenAway Retractable Fly Screen system allows you to clean your windows without any hassle of trying to get them out to get to your window. The retractable system allows you to enjoy your beautiful views with no obstructions. It sits where your existing fly screen would go and is made to measure. The ScreenAway Retractable Blind system provides light block out with no dangerous hanging cables or cords and a range of different material colours to suit your taste. The blinds are fitted within the reveal of your window to provide a tidy neat look with no bulky components. INNOVATIVE LEADERS IN WINDOW COVERING SOLUTIONS Venluree’s innovation-driven company culture, has enabled it to lead the charge towards the future of automatic and electronic screens, blinds and awnings. With a strong focus on product development and a close eye on consumer trends, the company has been able to offer its customers the most technologically advanced products and services available. The full range has been designed and engineered to offer a functional solution to the challenges of: - glare - solar radiation through glass - privacy for windows - shade for outdoor living areas - security and insect protection There can be no disputing the company’s 45-year reputation for offering a range of products, specifically designed for and made from materials, capable of weathering New Zealand’s unique environmental conditions. The visual proof, adorns the windows of hundreds of thousands of New Zealand households. 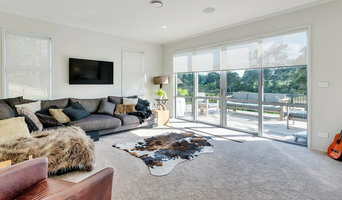 Venluree strongly believes that while window coverings must provide a functional solution, they must also complement both the interior and exterior living environments of New Zealand’s homes. Blinds 2000 started as a small home-based business which has grown to become today's leading authority on all window dressings in the Hawke's Bay. In 2003, Blinds 2000 established the first retail agency for Santa Fe Shutters. By 2005, the company had outgrown their site and commercial premises were obtained in the Onekawa Industrial area. The appeal of our quality products continued necessitating the move to larger premises at 39 Wakefield St, Onekawa, Napier in 2015 where we are presently located. This move has allowed us to display a vast array of product in our pleasant showroom. Our new displays show off motorisation and systems for difficult windows. Pop in and meet the friendly team – we are open Monday to Friday 8.30am to 5pm. The retractable shade cover. Introducing Wave Shade, another premium product from NuRange, New Zealand’s leading provider of shade products to wholesale customers. 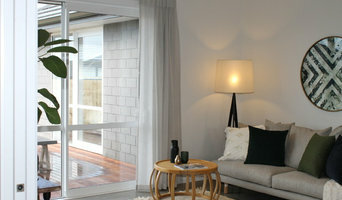 One of the key selling points of this product is the retractable shade. Unlike most shades which offer a full canvas, the Wave Shade is made up of a series of billows. Fully customisable, Wave Shade offers your customers the best of both worlds, sun when they want it and shade when they need it. All shades are custom-made to ensure a perfect fit over your customer’s outdoor space and can be attached to pergolas, homes, walls and poles - the options are endless. I offer a very personal service from beginning to end. I help with every step of the process to get the style you are wanting to create. My high standards reflex the end results whether you are wanting one window of curtains or a whole house. Furniture can also be recovered to match your style or made from new. Just one piece can change the whole look and finish your styled room.